Have You Been Paying Attention? has been nominated for not 1 but 2 awards in the C21 International Format Awards. The industry awards, based in the UK, are voted online by a panel made up of the world’s leading format commissioners, buyers and financiers. The Working Dog show has been nominated in Best Studio-Based Gameshow Format and Best Comedy Format categories. Amongst its nominee competition are Child Support (US), The Curling Quiz (Netherlands), What Would Your Kid Do? (UK), The Imitation Game (UK) and Stories from Norway (Norway). Have You Been Paying Attention? is expected back on 10 in May. You can read more on the various nominees here. 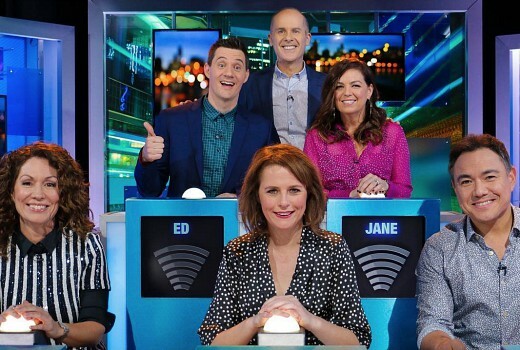 The C21 International Format Awards were held in France last Thursday (April 4) and unfortunately, HYBPA missed out in both categories. Best Studio-Based Gameshow Format went to ITV’s What Would Your Kid Do?, while Stories from Norway claimed Best Comedy Format. Working Dog Productions have been known to have made quality formats and productions for television over the previous decades, not only limited to, but also including shows, such as Thank God You’re Here, in which the formats were also picked up by several countries internationally. They are a great international success story from Australia. A testament to the worldliness of those involved and a well deserved congratulations due.